Доставка по городу: 800 р. 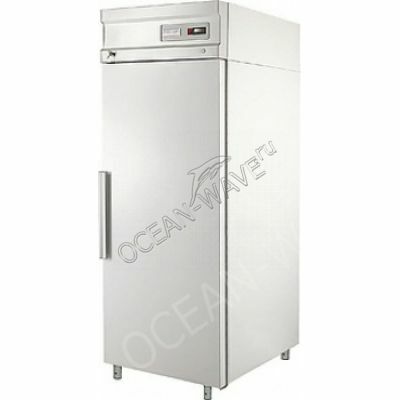 The Cabinet refrigerating Polair CM105-S convenient to use at the enterprises of trade and public catering for the refrigeration and storage of perishable products. 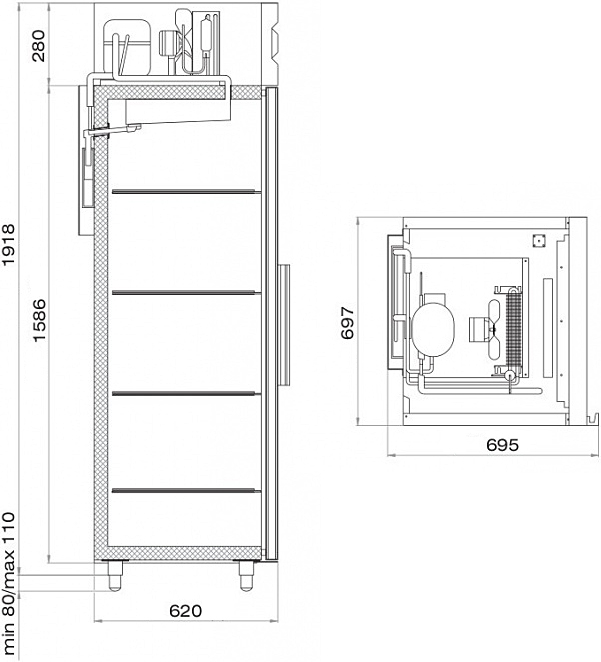 The device is designed for operation at ambient temperature up to +40 °C and relative humidity up to 80%. Cellosolve polyurethane foam casing without cracks and joints ensures reliable thermal insulation of the cooled interior space, as well as mechanical strength and durability of the Cabinet. Professional dynamic refrigeration system (with copper-aluminium battery condenser and evaporator and a powerful axial fan) guarantees effective and uniform cooling of all the contents on the shelves of the Cabinet, economical power consumption. Top position of the unit improves heat exchange properties of the device and protects the unit on pollution. The electronic control unit with LCD display allows you to accurately set and adjust the operating parameters of the Cabinet, change settings and diagnose the refrigeration system. Confesso que também observei este detalhe, de como o robô tirou esta foto…ainda assim mesmo ele tirando várias fotos, não entendi porque esta foto parece ter sido tirado por outro “agente” desta ação…e o solo tem sinais de umidade e marcas de escoamento de água.<br /> <noindex><a href="http://www.watchheuer.ru/replica-tag-heuer-formula-one-f1-chronograph-stainless-steel-mens-watch-cah1111ba0850-p-333.html"
Надежный и вместительный холодильный шкаф. Уже 2 года в работе, нареканий нет.